High Quality of Education Mixed with Fun and Enjoyment. As you take English courses in Oxford, you will soon see that Oxford is found in the town of Oxfordshire that is located in the South East of England. Here you can mingle with the 165,000 people living in this town. When you take up your course, you can also see the astonishing buildings and establishments that are built during the English architectural period. Most of these buildings were constructed since the 18th century. The most famous of these buildings is the Radcliffe Camera which you can visit while you study English courses in Oxford. 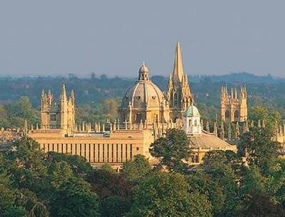 Oxford is also known as the “city of dreaming spires” as coined by the poet Matthew Arnold. While you take up your English courses in Oxford, you will also feel what it’s like to live within the borders of the famous town in England. While you take up your English courses in Oxford, you can also visit famous tourist attractions including the University of Oxford. The Oxford city also draws almost 9.1 million every year. You can also see some TV networks filming their latest projects here as the buildings make a good backdrop. If you decide to take up English courses in Oxford, you can also take a look on the center of the city in Carfax and continue your journey to the Cornmarket Street. Oxford’s different chain stores and some famous establishments are located in the Queen Street and in the Cornmarket Street. Some of the spots that you can visit while you are taking up English courses in Oxford include the Ashmolean Museum. This is one of the greatest museums in the world and it is also known as Britain’s first ever official museum. This place held some collection of natural specimens that embodies England’s biodiversity. During the 1718, a prize possession called Alfred Jewel was added to it. This relic is described as the gold-encrusted and enameled ornament that is used to decorate the scepter. Another spot that you can visit while you are taking up English courses in Oxford is the Blackwell’s Books. This is the largest bookstore in Europe and this is where the Norrington Room is found. You can also shop for books in their underground cavity. You can also take a look at the Bodleian Library whose buildings are scattered all throughout Oxford. The core of this library is at the Radcliffe Square but its oldest and most famous parts are at the Duke Humprey’s Library. Oxford is an established place for academic excellence. Taking up any course here will ensure that you will get the highest quality education that you can afford. If you decide to take up English courses in Oxford, you will not only learn how to speak the international language, you will also experience how it’s like to study at the seat of academic excellence. 100% guaranteed, that you will pay the lowest price for English courses in Oxford. We offer you the lowest possible course rates - you never pay more than if you booked directly with the school itself or anywhere else. Besides, our service is free. We do not charge any booking fees. It's very unlikely that something will go wrong with your booking once confirmed by the English language schools in Oxford. In fact we're so confident, that if you don't have your course place at the selected school, we'll credit your account with your full deposit AND find another possible alternative for you.